Home Guides What is the CIS? Our short guide to the Construction Industry Scheme (CIS) aims to answer all your CIS-related questions. Nice one, Brian! If you’re new to working within the construction industry, or you’ve been in the building trade for a while and want to make the move from PAYE to CIS, the scheme can be a little difficult to get your head around. That’s why we’ve created our short no-nonsense guide to the CIS. The CIS, which stands for Construction Industry Scheme, is a scheme which was brought in by HMRC in 1971 to protect construction workers from false employment and minimise tax evasion in the construction industry. Under the scheme, contractors deduct money from their subcontractors pay to cover their tax and national insurance contributions. Both contractors and subcontractors must be registered for the scheme before any construction work starts. The scheme does not apply to employees. 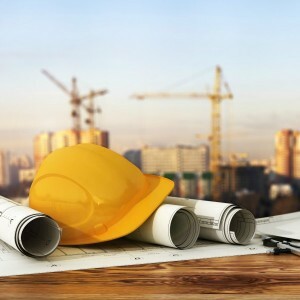 Some organisations and businesses that are not construction based may also need to be CIS registered if they annually spend more than £1 million per year on construction work over a three year period; for example, property developers or housing associations. How much is the CIS deduction? If you’re registered for the scheme, you will have a 20% tax deducted from your salary. If you’re not registered then the deduction is 30%, so it definitely pays to be CIS registered. Do I need to be CIS registered? If you’re a subcontractor, meaning you do construction work for a contractor, then as mentioned above, you should be CIS registered to avoid an extra 10% tax deduction. There is however an alternative to the CIS if you’re a subcontractor who turns over at least £30,000 and has a good tax compliance record; you can apply for gross payment. This means you’ll be paid in full by your contractor but you’ll need to sort your own tax bill at the end of the year. How can I register for the CIS? For information on how to register for the Construction Industry Scheme as either a contractor or subcontractor you need to contact HMRC directly. You can find details of how to do this on their website here. It’s likely, as a member of the CIS that you will have overpaid in tax over the course of the year. At Brian Alfred, we’re experts when it comes to tax rebates for CIS workers so we work hard to maximise your rebate. Download our tax pack today or give our experts a call on 0800 464 0357 to see how we can help.